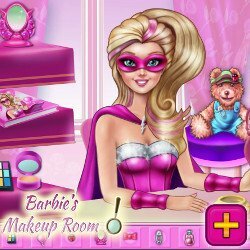 Super Barbie and Ladybug are always busy fighting crime and saving the day, but sometimes they just want to relax and feel pretty again, so let’s take them to the nail salon. 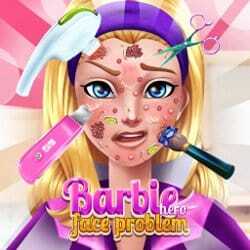 Start with Super Barbie and help her get a new manicure. You can start by applying nail polish in solid color or with a bit of glitter, then make them more interesting by creating patterns. You can add a stripe of polka dots, colorful French tips or glittery green stripes. There is a lot of mixing and matching you can do for a fabulous look. Then move on and do Ladybug’s nails as well. Try to create something different, using the same lovely nail polishes. This is a very simple and fun game that allows you to use your imagination to the max. 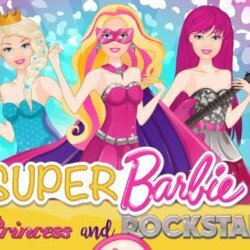 Have an incredible time playing Superhero Princesses Nail Salon! 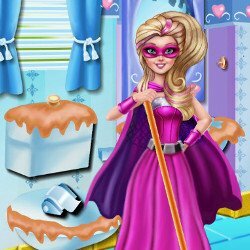 Superhero Princesses Nails Salon is an mobile game and it’s playable in browsers such as Safari and Chrome. You can play the game on smartphone and tablet (iPhone, iPad, Samsung, Android devices and Windows Phone).